How Frequently Should You Post to Instagram? Have you noticed that you’re seeing post from, like, 3 days ago on your Instagram feed? Usually, “liking” something from THAT long ago means you’ve been doing some creeping. I know you’ve had that moment of panic where you “liked” something that showed up on your feed organically from 2 days ago and then you frantically “unlike” it because you don’t want to seem creepy. Don’t lie. You’ve been there. Before the Instagram algorithm update, the half-life of an Instagram post was 72 minutes, meaning it would get half of its total engagement within that time frame. Although users have noticed a significant decline in their engagement and reach since the Instagram algorithm was introduced, posts DO seem to have a longer lifespan. So while your initial visibility might be decreasing, your post may still end up on your followers’ feeds later on. What does this mean for your IG publishing strategy? Should you post to Instagram more since engagement is down? 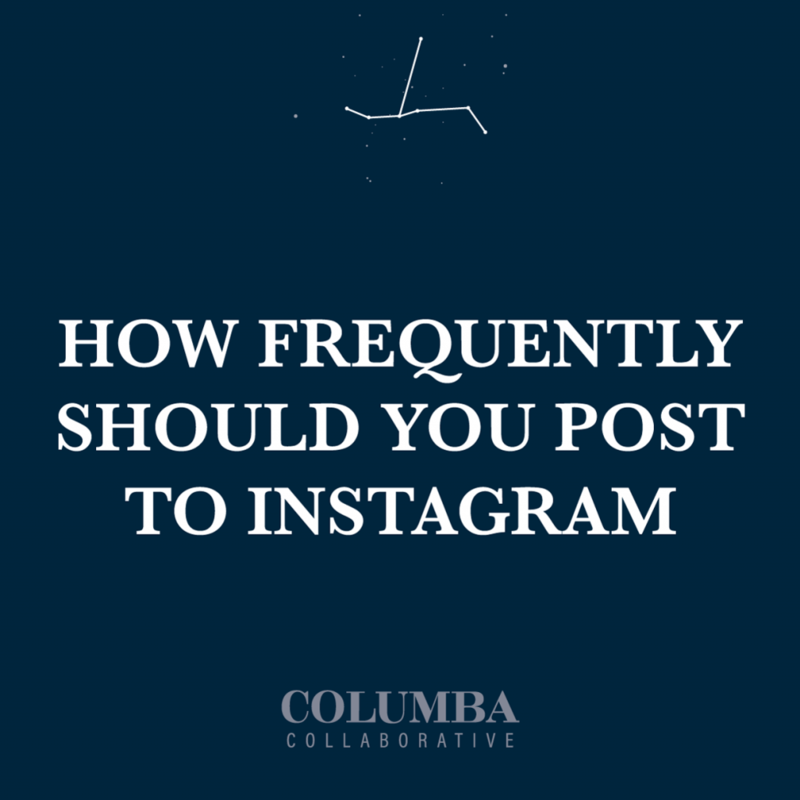 Should you post to Instagram less since your posts are staying on the timeline longer? Will an increase in posting increase your engagement, or take away engagement from your previous posts? Does More Posts Equal More Engagement? We’re now seeing more people posting up to six times a day, while some brands are even posting up to 30 times a day! Really, the answer to that question depends on what your followers want, and how much time you have to dedicate to your Instagram marketing. You’ve probably heard it said that posting too much is bad for engagement. Union Metrics looked at 55 brands’ posting activity over a period of several months and found that there’s no recorded drop in engagement when posting more often. The study also confirm that there isn’t a relationship between how much content a business posts and the engagement rate those posts receive. Your ideal posting frequency will depend on you or your business’ goals and the amount of time you can dedicate to your Instagram marketing efforts. Then this means that the best posting frequency for Instagram is the posting frequency that you or your business can keep up with consistently. Posting more frequently *might* increase your likelihood of being seen, but when the quality of your content suffers, so will your following. If you decide to post to Instagram more frequently, it’s important you make sure you have enough time to dedicate to your efforts. Don’t EVER post just for the sake of posting. If you have something you want to talk to your followers about, but no high-quality image to pair it with, say it with Instagram Stories! Instagram Stories was literally MADE for quick and “natural” content. This content disappears after 24 hours (unless you use the Highlights feature), so you don’t have to worry so much about aesthetics. According to that Union Metrics study, the average brand posts 1.5 times per day. No, you don’t have to post one AND A HALF times per day, but this allows some flexibility to post once or twice a day depending on how much content you have. I’ve found that this is a good rate to create content, because capturing quality images and writing quality copy can take quite a bit of time a effort. If you run your own business, it can be hard to be consistent about your Instagram content!